I was born May 6th, 1982 and raised in Calgary, Alberta, Canada. My parents (who are total rock stars) are Nola and Wes and my brother (who equally torments and protects me) is Scott. My parents have been married since 1976 and they like to go on cruises. My bro taught me my first cartwheel and is an actual genius. My first competitive coach in the sport was Kelly Manjak. He and I worked together at the Altadore Gymnastics Club for 16 years (more on that later). 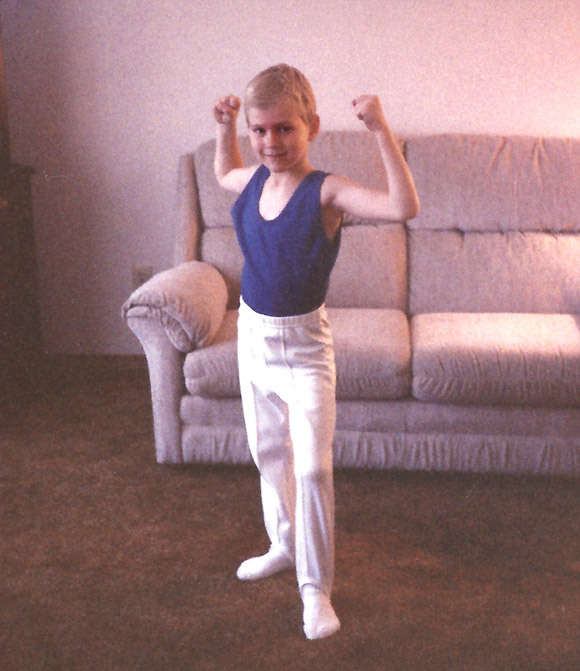 When I was 9 years old, I knew that I would be an Olympic Champion. 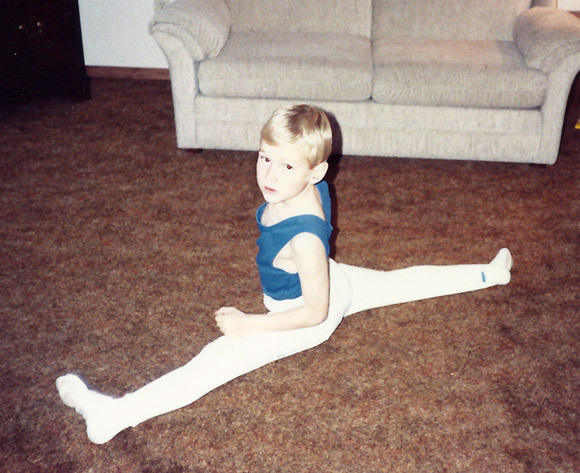 I couldn’t get enough of gymnastics – I fell in love and it became my ultimate passion. My dream was fueled by incredible role models (like Jennifer Wood and Mark Tewksbury), a multitude of journal entries, obsessive rewinding of gymnastics VHS tapes, my subscription to International Gymnast Magazine and my backyard trampoline (I once did a double back flip on it and tramp rashed my face from forehead to chin. Note to self: blankets and pillows are NOT landing mats!). The next 3 years were a blur of airplanes, hotels, gyms, competitions, training camps and building a reputation (I was basically living and chasing the dream). I competed at the 2002 Commonwealth Games in Manchester, England (I ended up winning floor and vault and placed 2nd with Team Canada), the 2002 Worlds in Debrecen, Hungary (where I placed an exciting 4th on vault, but a disappointing 15th on floor after focusing on the outcome and landing on my arse in the semi-finals. How embarrassing! But an important learning experience…) and numerous World Cups (where I actually started to win. Sweeeeet!). 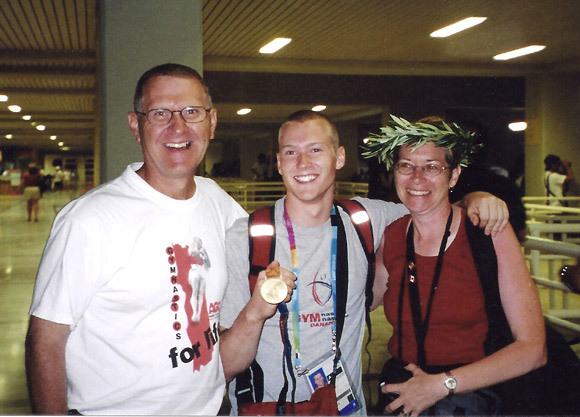 At the 2003 World Championships, I helped my team qualify to the 2004 Athens Games (a first for us since 1979) and I won 2 individual bronze medals (a first for Canada!). These results set me up as a serious medal contender for Athens 2004 (bring on the pressure, baby!!). 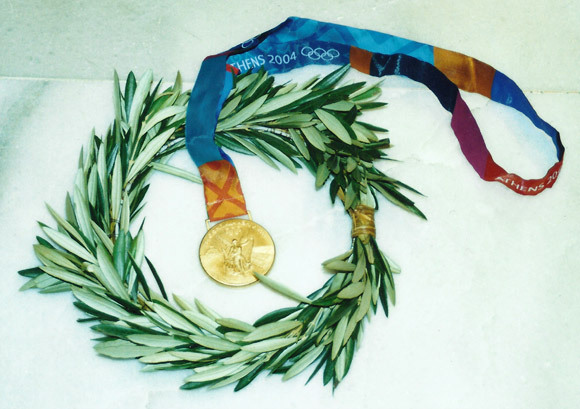 On August 22nd, 2004 (after dealing with a stupid bruised talus bone for nearly 4 months beforehand), I stared into the face of my dream (my motto being: Make it happen) with an opportunity to make it a reality (thank goodness I pretended I was in the “Olympic Finals” so many times on my backyard tramp!). In the next 60 seconds (just think, 16 years of training for a 60 second chance. Ahhhh! ), I executed a near perfect routine (I even nailed my dismount) and won Canada’s first Olympic medal in the sport of Artistic Gymnastics – and to top it off, it was GOLD (one of the most exciting moments in my life). This moment proved to me two things: 1. Anything is possible; 2. Hard work, persistence and the relentless pursuit of excellence pays off (also, Olympic medals are shiny and heavy!). At those same Games, I placed 4th in the vault final. Perhaps I should have been 3rd, but due to a wee bit of cheating among the judges I got beat out by a friend, Marian Dragulescu, who unfortunately fell (the lesson: Define success on how you perform because you have NO CONTROL over anything else!). Athens was also the last competition where Kelly would be my full-time coach (he moved to Ontario with his wife to coach women’s gymnastics) and it was very hard to say goodbye (he is like my second dad). I will always remember what he said to me before I competed on floor – “I’m proud of you no matter what the result. In my eyes, you’re already a champion” (makes me cry every time I think about it…). Often times the universe delivers what we need, exactly when we need it. At the 2007 World Championships in Stuttgart, Germany I got the wake up call I was craving. A millisecond of misjudgment on a landing (doing an Arabian double front layout) left me laying in the middle of the floor with 2 broken legs (Um, ouch!). It also instantaneously gave me a new chase and a focal point (Yes!). 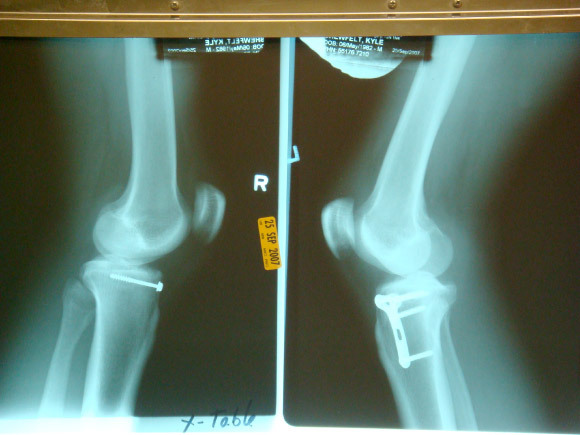 I had only 11 months to recover in time for Beijing. I literally felt the spark ignite inside my belly the moment I was told the news. After returning home to Calgary (It was a hilarious and humbling experience flying home from Germany) and having surgery, the intense battle began. What ensued was a rollercoaster ride of epic proportions. As each hour passed, I knew it was one hour closer to the Beijing Opening Ceremonies. This imminent deadline kept me on track and asking myself for more (“how bad do you want it”?). I showed myself courage and strength I didn’t know I had (giving up was never an option – it just wasn’t) and I started to believe that I could not only make it back to the Olympics, but I had the potential to win again. On July 26th, 2008 (after the most expanding 11 months of my life), I left for Beijing with my team. I had done everything possible to ensure I was prepared (you can’t beat that feeling!). On August 9th, 2008, I competed in my third Olympic Games. I hit all of my routines (including a stuck vault and the hardest floor routine of my life) and walked off the competition floor feeling like a rock star. Although I didn’t advance to finals, I knew that I had done my absolute best. This experience taught me my most powerful lesson (one that I feel I went on this journey to learn and now share): Life, similar to sport, is not about being THE best. It’s about being YOUR best. And it’s about holding yourself accountable to that standard every single day. Since retiring from sport, I have found that speaking, writing, broadcasting and coaching fuel my obsessions with potential and excellence. I speak to audiences often and my love for it grows exponentially each time I have the opportunity. I carry a pen and a notebook with me ALWAYS because new speaking ideas ping me in the head on an hourly basis. I am energized by my performance coaching business. I strongly believe that humans were meant to evolve. I know that life can have a silky balance between the practice of presence and the relentless pursuit of potential – I feel it’s my duty to help individuals and groups discover what this looks like for them. I went back to school at Mount Royal University and studied Broadcasting and Entrepreneurship (where my perfectionistic tendencies often said “hello”). I trained as a co-active life coach with CTI. I started my yoga teacher training (one day I’ll finish!) and I try to approach life with an “empty cup” kind of attitude. I love learning and exploring my own potential. I continue to stay involved in sport and gymnastics through my roles as ambassador with Gymnastics Canada, mentor to the Canadian men’s gymnastics team, member of the CCES board of directors and co-creator/host of the Kyle Shewfelt Gymnastics Festival. I continue to work with CBC (sometimes I wish I would have stuck with hockey so I could do this gig more often) and I recently signed on to be a part of the Olympic Consortiums coverage of the 2012 London Olympic Games (YES!). I am heavily involved in my community and love being an ambassador with Special Olympics, Kidsport and Right To Play. I’m also very proud to play an active role in making my city more awesome as a trustee of the Awesome Foundation. I love to write and my vision for the future involves lots of books by ‘Kyle Shewfelt’ (hopefully written, atleast partially, with sand between my toes). I’m engaged in life. I smile a lot. I take deep breaths. I high-five people often. And I still do one handstand a day (once a gymnast, always a gymnast). I have a wonderful family, incredible friends and everywhere I turn, I get little glimmers that I am on the right path (just like I did when I was 9 years old and I knew that I would be an Olympic Champion).